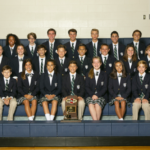 The athletic program offers the opportunity for those interested students to be members of several interscholastic athletic programs offered at the school. 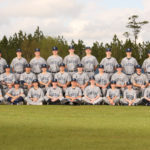 These programs through the years have enjoyed much success due to the dedicated efforts of the students and coaches, who together have worked toward the goal of making their teams and themselves as good as they are capable of being. 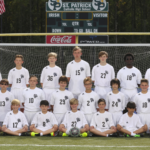 Specific team information is available by clicking on the individual sport pages to the left. 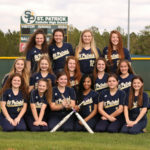 Team rosters, schedules, pictures, and other information is updated when the sport is in season. 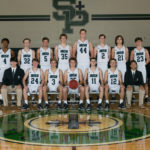 St. Patrick Catholic High School is a member of the Mississippi High School Activites Association. 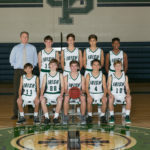 Our athletic program includes competition in the following varsity sports, as well as some junior varsity, freshman, and junior high teams. 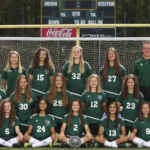 To view the winter sports schedule, please click button below! Practice is typically held before school and during first period. 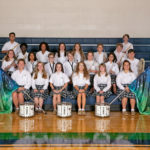 The Pride of St. Patrick Band competes throughout the year and at various sporting events. Season officially starts end of January and practices take place every day after school except for on games days. Transportation is provided to and from games. Both the Junior Varsity and Varsity teams practice during first period. The Varsity team practices after school on non-playing days. Games are usually on Tuesday and Friday nights, and there are few weekend games. to ride home with parents after games with proper check out procedure. 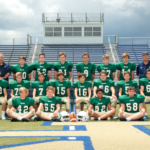 Both Junior High and Varsity teams have an athletic period for practice. Season begins the first week of November. 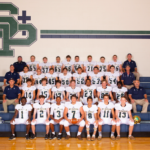 St. Patrick has Junior High (seventh and eighth grade), Junior Varsity and Varsity teams. Transportation is provided to and from games. 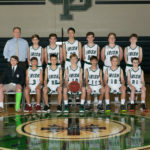 The Junior High Boys Basketball program is open to all seventh and eighth grade boys. 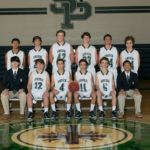 The season typically begins in November, and practices are held during seventh period. Transportation is provided to all away games, but parents are responsible for transportation home from those games. Season begins in late February/early March and continues for a full calendar year. Practices vary on the time of the year, but maintain a minimum of one practice a week held at the conclusion on school. 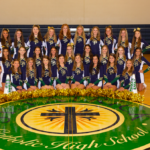 Cheer teams attend all football games and all home basketball games. 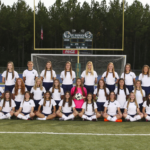 Transportation is provided by the school for away games. Cheer camp is mandatory and is held in the summer (typically June) for 4-5 days off campus. Practices begin in June. Once school begins in August, team practices from 3:20 p.m. – 4:45 p.m. on Tuesday, Thursday and Friday. 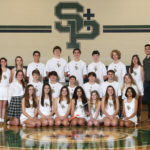 On Monday and Wednesday night (6:30 p.m. – 7:45 p.m.), the team meets at the St. Patrick track for Speed Sessions. On Saturday, a long run is completed as a team in Ocean Springs. Junior High and Varsity teams practice together. The first race will typically happen around Labor Day weekend, and every athlete on the team runs weekly races every Saturday. Transportation to local races (Gulf Coast Region) is not provided for Saturday races. 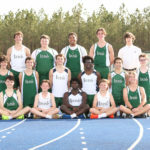 However, Bus transportation is provided for races that require athletes to be released early from school, or for meets that are significantly far away. Tryouts take place in April and season is year-round. 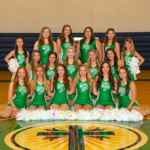 The team practices 2-3 times per week for two hours, and dancers must attend all home and away varsity football games. School transportation is provided for all away football games. During the summer, dancers must attend a 3-day camp to prepare for the season. 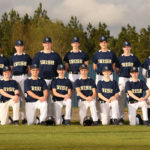 The Varsity team consists of players in the ninth through twelfth grade. Football practice begins at the end of July, and the first game is typically in mid-August. Practice is daily from 3:30 to 6 p.m. prior to the first game. Players prepare throughout the year during specific class periods with strength training and speed development. Weight lifting also takes place daily Monday through Thursday from 3-4 p.m. Transportation is provided to and from all away games for players. Parents are responsible to provide transportation after practice and weight workouts. There will be 15 days of spring football starting the last week of April. Practices typically begin in July (2-3 per week) and the season starts in late August. Practices take place during seventh period and extend until 4 p.m. every day except game day during the week. 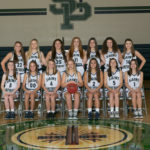 Bus transportation is provided to and from games. The 2018 season officially begins January 29, 2018. Team will compete in five major 18-hole tournaments along the Gulf Coast, and several 9-hole practice tournaments after scheduled. 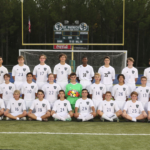 Mandatory practice takes place Monday through Thursday after school until 4:30, after which the players are encouraged to practice and play more on their own. Parents and players are responsible for providing transportation to and from all practices and tournaments. The 2018 season officially begins February 2018. 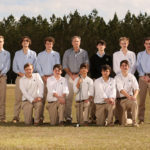 Team will compete in several major 18-hole tournaments along the Gulf Coast, and several 9-hole practice tournaments. 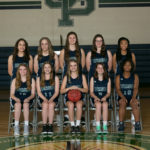 Practice takes place after school until 4:30, after which the players are encouraged to practice and play more on their own. Parents and players are responsible for providing transportation to and from all practices and tournaments. Season typically begins in October, and the team practices every day except Fridays. Transportation is provided to all the games except for tournaments. Practice begins in October, and the first game is typically held in the beginning of November. Practices take place every day except Friday unless there is a game. Transportation is provide to and from games. Season officially starts end of January and practices take place every day after school except for on games days. 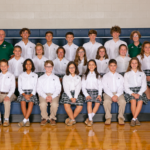 The Swim Team normally practices every day after school from 4-5:30 p.m. at the Biloxi Natatorium from August 1 through October 31. Bus transportation to practice is available. Tennis practice begins at the end of January. The season typically starts at the end of February. The team practices and plays at Bayou Bluff in Gulfport. Transportation is available to and from matches. Track Season official starts February 1. 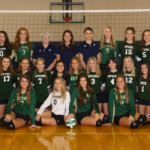 Varsity practices take place Monday, Wednesday and Friday from 3:25 until 5 p.m., and Junior High team practices Tuesday and Thursday from 3:25 until 4:30 p.m. Transportation is available to and from meets. 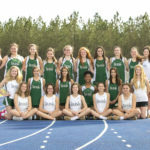 When students sign up to participate in Track & Field, they will receive a team packet that should be read by the student and parents and students will need to return a signed waiver prior to the first practice. Tim McDaniel will be coaching the distance runners and distance relays. Season begins approximately the second week in August and runs through the beginning of October. 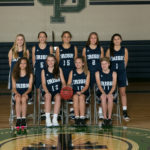 Practice takes place during school and after school 2-3 times a week from 3-5:30 p.m. Games are typically twice a week on Tuesday and Thursday. Transportation is provided to and from games.